Madonna has hinted at plans for an upcoming album called Madame X. She unveiled the album title in a video over the weekend, and the clip hears her say, "I decided to call me new album Madame X." Madge goes on to explain that "Madame X is a secret agent, travelling around the world, changing identities, fighting for freedom, bringing light to dark places." She continues, "She is a dancer, a professor, a head of state, a housekeeper, an equestrian, a prisoner, a student, a mother, a child, a teacher, a nun, a singer, a saint, a whore, and a spy in the house of love." 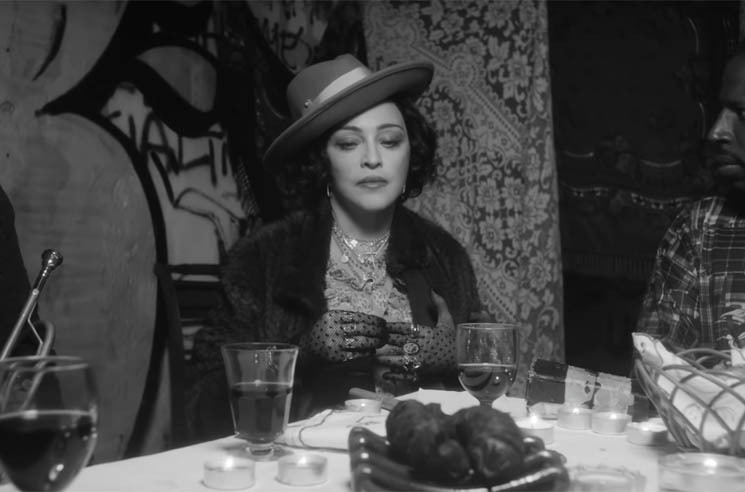 The video teaser showcases multiple incarnations of Madonna's latest character, as new music plays in the background. Watch it below. She's also teased a new single featuring Maluma called "Medellin," which is slated for release this Wednesday (April 17). Madame X has yet to be given a release date, but when it arrives it will mark the follow-up to 2015's Rebel Heart.